Home » Event design » The Top 53 Live Events for Event Professionals in the U.S. The Top 53 Live Events for Event Professionals in the U.S.
Are you planning which live events to attend in 2019? Guest contributor Tom Pick shares Part 1 of The Top 53 Live Events for Event Professionals to attend. The events industry moves fast. Trends emerge and fade away. Event technology gets better and faster, and entirely new categories of tools hit the market. New venues are built; new destinations become popular. Attendee expectations change. New ways to collect data and measure the value of events are developed. Event professionals not only have to plan and manage their realm of shows, conferences, and other gatherings, but also find time to stay current on industry changes and enhance their knowledge. Fortunately, there are many resources event pros can turn to. They can follow the top events industry influencers on social media, read the top industry blogs and publications, and listen to the best events podcasts. But they can also do what comes most naturally to planners and organizers—attend live events! Here are more than 50 of the best conferences and expositions worldwide focused on education, networking, technology, awards, and career development for event professionals. Expo! Expo! is a face-to-face event that helps exhibition and event industry professionals get current with industry trends by participating in the education sessions and networking opportunities. The Northstar Leadership Forum is a three-day, invitation-only event providing planning professionals and suppliers with education, networking and sharing of best practices. XLIVE brings together a wide range of event industry professionals—festival producers, eSports events, Convention & Visitors Bureaus, event tech solution providers, event services companies, travel providers, production companies, A/V & staging companies, and others—to learn about the creative ways festivals and live events are delivering memorable experiences through technology, process and other strategies. ​The AEP Conference provides event planners in academe with professional development, networking, and interaction with vendors specializing in products for academic environments. It focuses on topics and best practices unique to higher education events. ESPA serves event service professionals from CVBs, hotels and convention centers from across North America. It’s annual conference offers CSMs education, networking, and CE/CMP credits for select sessions. PCMA Convening Leaders provides business events professionals from around the world with four days of inspiration and education. Connect with event planners, wedding planners, corporate planners, caterers, business owners, and others. Earn CE credits towards CMP certification at select sessions, and explore the latest ideas in event services and products including décor, entertainment, equipment, floral, furniture, tech, and lighting. The Association of Destination Management Executives (ADMEI) annual conference focuses on inspiration, innovation (with sessions on technology and forums for sales/operations/owners), and imagination (exploring the meetings industry economic impact and future-looking topics). The Catersource Conference unites caterers, culinary pros, event planners, vendors, and business owners to discover new ideas and improve skills around food preparation, and network with industry colleagues. Corporate America’s leading event for corporate event marketing training along with North America’s largest exhibition of trade show and corporate event solutions. Corporate event professionals can discover emerging trends and new techniques while improving budgeting and forecast skills. At the Independent Planner Education Conference (IPEC), qualified buyers (meeting and incentive planners) can meet with suppliers from across the U.S. in pre-scheduled one-on-one business appointments, take advantage of experiential networking events, and learn from guest speakers. The premiere educational and networking event for collegiate conference and events professionals features a variety of educational sessions, an Expo Hall featuring products and services specifically for collegiate conferences and events, and numerous networking opportunities. Qualified buyers (meeting and incentive planners) will get two days of pre-scheduled one-to-one meetings with global incentive suppliers—including incentive destinations, hotels/resorts, cruise lines, DMCs, DMOs, brand name merchandise, gift cards and tourism offices—plus educational presentations and networking opportunities. In a format similar to Incentive Live (above), qualified buyers (meeting and incentive planners) will get two days of pre-scheduled one-to-one meetings with top international hotels, CVBs, DMCs, and venues, plus educational sessions and networking. Qualified meeting and event technology buyers with a demonstrated interest in implementing new event technology can attend this intensive day-long program, specifically designed for meeting and event organizers interested in learning about meetings and events technology through case studies, hands-on demos, and orchestrated networking. The American Planning Association (APA) offers members and non-member event planners four days of education covering emerging issues, new trends, and best practices in planning. plus networking opportunities. XDP is a two-day conference for association professionals and partners, to help create better experiences for event audiences and increase the success of conferences and tradeshows. Day one is spent in The Lab, a collaborative learning environment, with day two reserved for one-on-one meetings with industry partners to help plan events. The Exhibition and Convention Executives Forum (ECEF) is the one-day event exclusively for CEOs, presidents, executive directors, VPs and C-executives at associations and independent organizers. 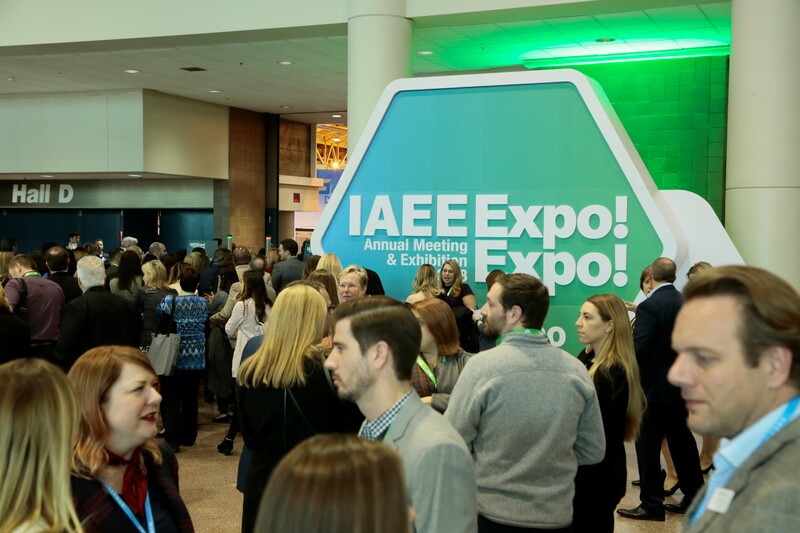 It offers the leaders of the exhibition and convention industry C-level education on new ways to increase revenue and keep events relevant, plus networking opportunities. EMS is a three-day training conference for experiential marketers, covering emerging trends, best practices, and case studies from the heads of experiential marketing at some of the world’s largest consumer brands. The event includes presentations, hands-on training, and demos of new products and services. The CEMA Summit is an annual educational and networking event focused on best practices and knowledge sharing for corporate event marketers. Hosted by the International Association of Venue Managers (IAVM), the VenueConnect conference and trade show is the only industry event providing targeted education created specifically for arena, stadium, convention center, performing arts, amphitheater, fairground, and college/university venue professionals. The GBTA Convention is the world’s largest corporate travel event, with nearly 8,000 attendees and more than 400 exhibiting companies each year. It offers education and professional development sessions covering the latest trends and industry changes. Hosted by the International Live Events Association, ILEA Live is an educational and collaborative experience for live event professionals to strengthen their creative output, sharpen their business strategies and find inspiration through educational sessions and an awards gala. The ASAE Annual Meeting & Exposition is where thousands of association professionals and industry partners gather for three days of learning and networking. Select sessions allow attendees to earn CAE and CMP credits. IMEX America is a global exhibition for incentive travel, meetings and events, bringing together event professionals, vendors, technology providers, and industry experts for four days of 180+ educational sessions, demos, discussions, and networking. Thousands of event and meeting pros, vendors, and industry experts convene for one day each year at BizBash Live, to collaborate, network, and discover new ideas for creating incredible events. The annual International Congress and Convention Association (ICCA) Congress event brings together the world’s leading suppliers in handling, transporting and accommodating international meetings and events. ICCA specializes in the international association meetings sector; it’s annual event showcases global destinations and specialist suppliers to international meeting planners. The Event Planner Expo is a two-day conference and trade show for the events and hospitality industry. Attendees can increase knowledge and improve skills at the educational sessions, network with peers (event planners, marketers, PR and HR pros) and suppliers, and connect with partners and venues for their upcoming events. Hosted by the Events Industry Council and created exclusively for CMPs, this is a three-day educational and networking event providing CE credits for select sessions. Attendees include meetings professionals from associations, convention & visitors bureaus, universities, and corporations. Plan Your Meeting Live (PYM LIVE) is an engaging event developed specifically for the non-traditional meeting professional—the person whose job responsibilities include much more than planning meetings or events. PYM LIVE helps attendees hone their planning skills and make helpful connections. Admission is complimentary for meeting and event planners responsible for site selection. Events are held in cities across the U.S. throughout the year. Smart Meeting hosted-buyer events connect meeting planners with premier hotels and destinations through sourcing appointments with premier hotels and destinations, networking, and education. Events are held in cities across the U.S. throughout the year. Tom Pick is a digital marketing consultant who works with event management platform developer G2Planet to share the company’s insights and knowledge with corporate event marketing professionals.